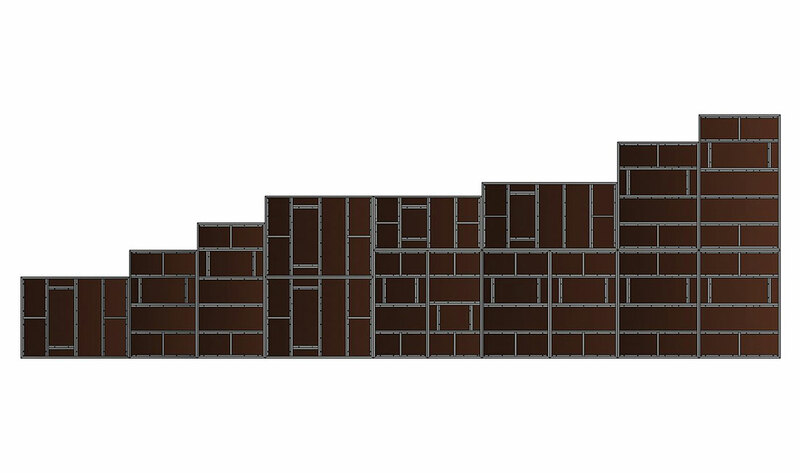 Our Alu- Mini Classic Panels have 5 standard, different widths of 30 cm - 45 cm - 60cm - 75 cm - 90 cm and 4 standard heights of 120 cm -150 cm - 270 cm - 300 cm. Beside 20 standard, classic panels, we also produce special sized formworks according to needs of our customers. 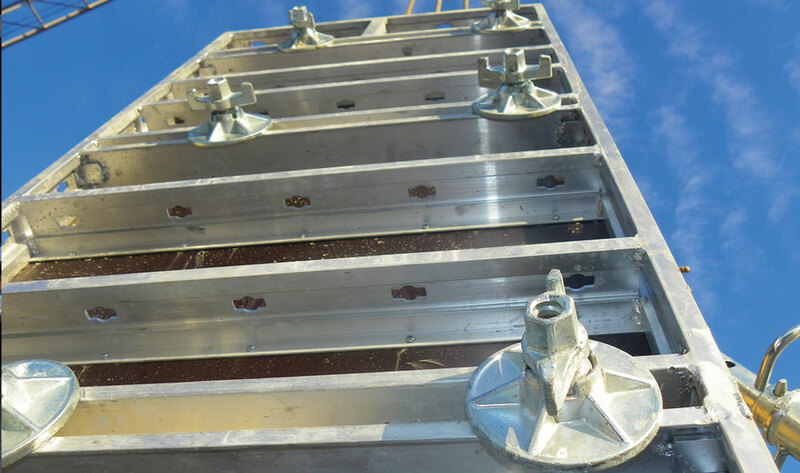 As width and height of our formworks are interchangeable, they can be installed on top of each other so that any desired height can be easily obtained. By using playwood which is 15 mm and has 11 layers, a smooth concrete surface is obtained.The plywood that we use in our aluminum formworks is filled with special silicone material and aluminum flakes are mounted to tierod holes for long lasting usability. Special Alloy Aluminum profiles are resistant to external factors. 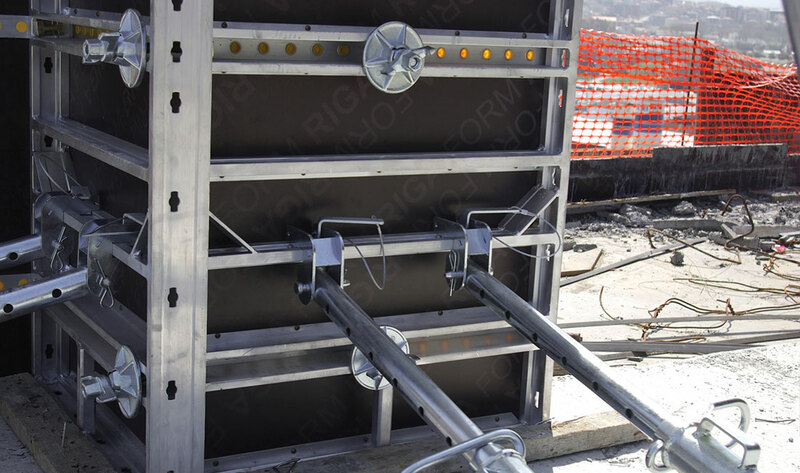 Our formworks are made of aluminum which is known for its lightness, no risk of rust and corrosion. Our company is ready to meet your needs including special solutions and projects. When special alloys are applied to aluminum, its resistance shows a substantial increase while its density increases just a little. Aluminum is shock resistant and long lasting. 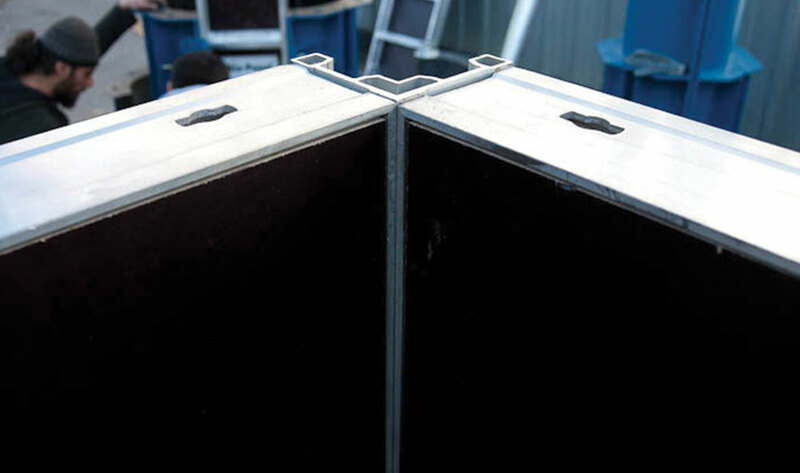 Widths of our panels can be used as height and heights can be used as width as well. 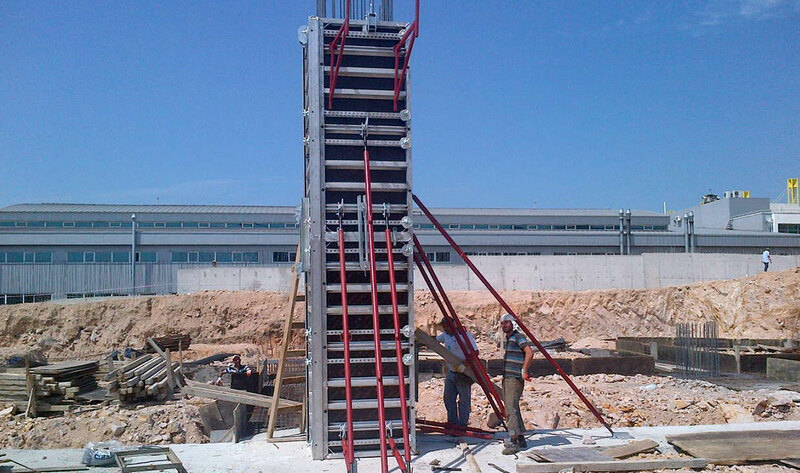 Thus they offer solutions to any conditions and heights required on the construction sites. 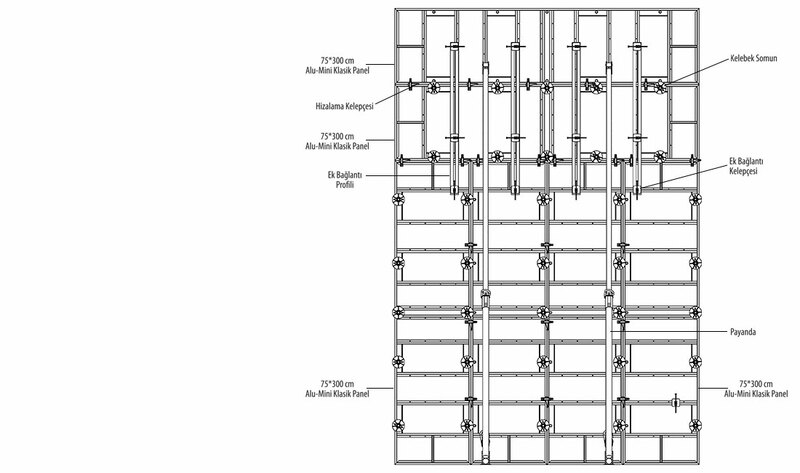 The Panels that we use at column construction are designed in width of 75cm. There are 14 holes on our Universal Panels with 5 cm interval between each one. This perfect feature gives us the chance to construct columns in various sizes. 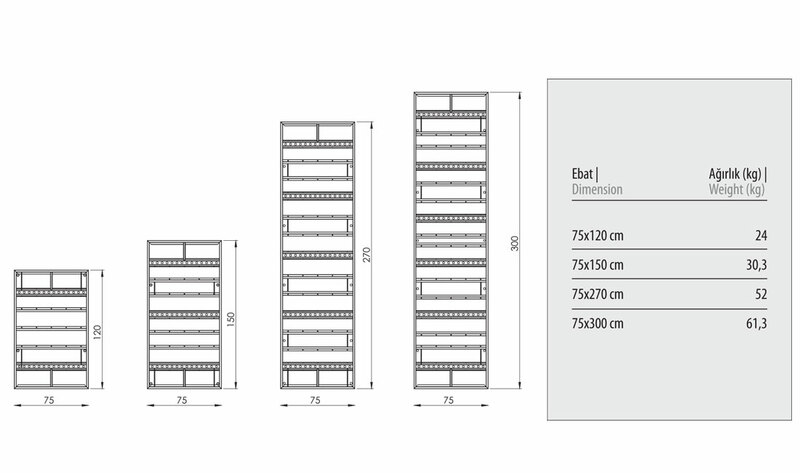 Universal Universal Panels have 4 different heights; 120 cm -150 cm - 270 cm - 300 cm. 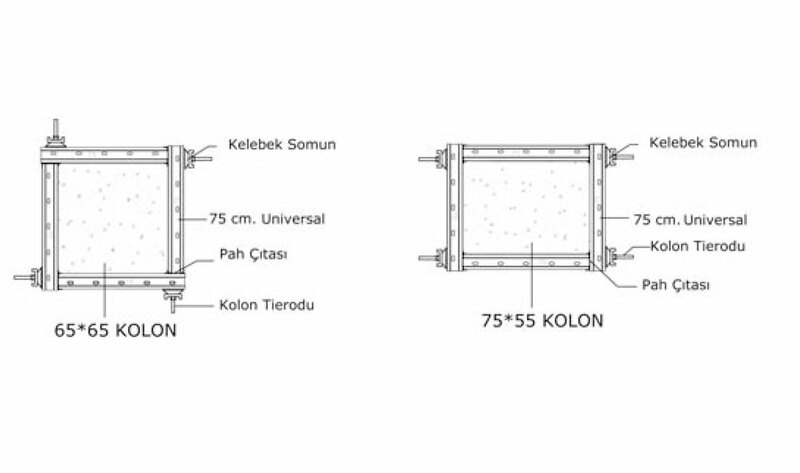 Thanks to Universal Panels, it is possible to construct a maximum of 65 x 65 cm. square shaped columns and 55 x 75 cm rectangle shaped columns without tie rods going through the panels. 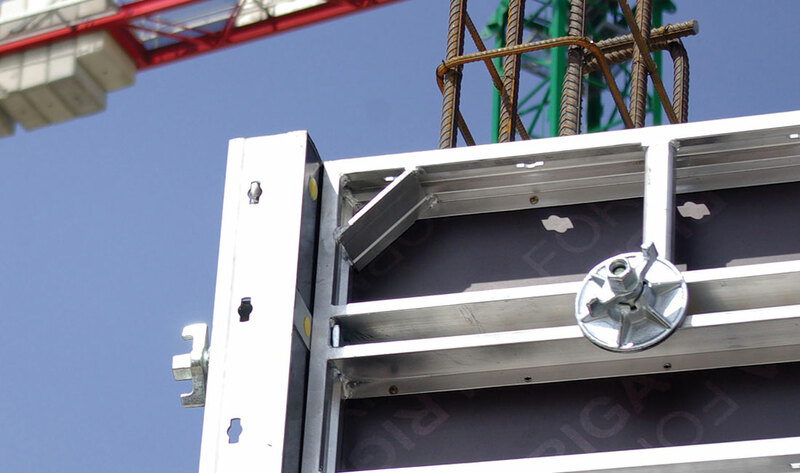 While there is no need of a crane at the application area, the aluminum panels can also be assembled to each other and be carried with a crane. Thus, our panels give you the chance to set up 100 different sized column formworks economically by using single type column formwork. 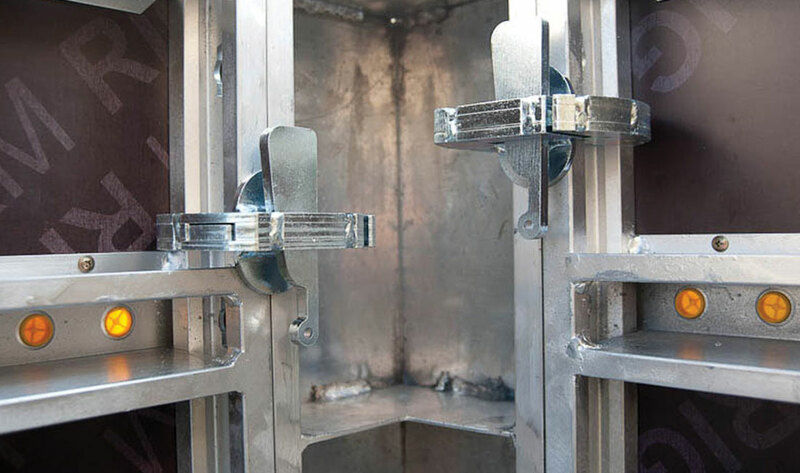 One of the greatest advantages of our formwork systems is their super lightness as made of aluminum. 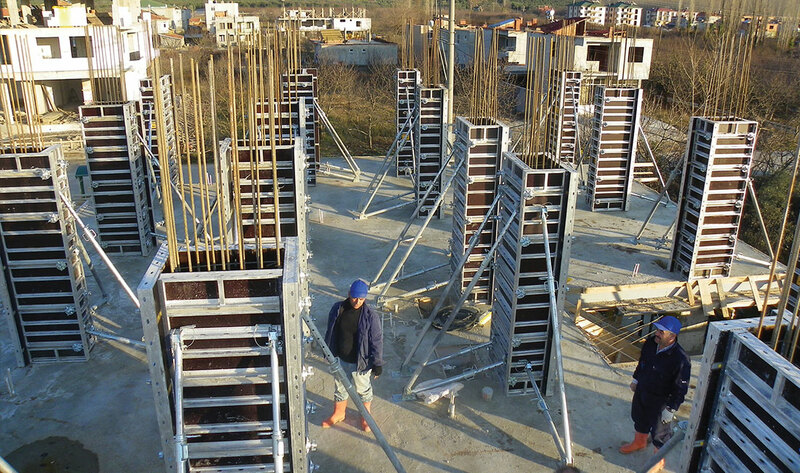 ATESHAN Aluminum Formworks are modular systems that have (de)installation feature which minimizes the workmanship and workmanship faults on construction site with a fast implementation process. Labor force at the building site is aimed to be kept at minimum rate. By means of special design features, our formworks offer ease of usage and they can be fully integrated into other products of major companies in the sector. 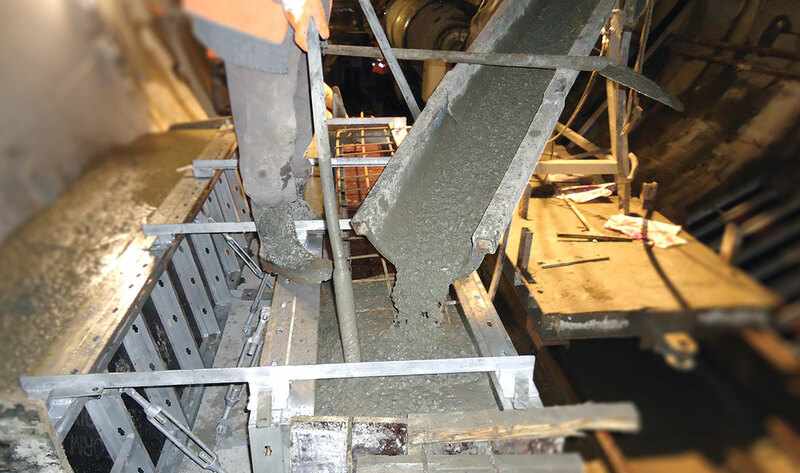 As Aluminum formworks are modular and versatile, they can be used with any kind of construction types and projects. Such as housing, industrial structures, high-rise buildings, retaining walls, tunnels and bridges. 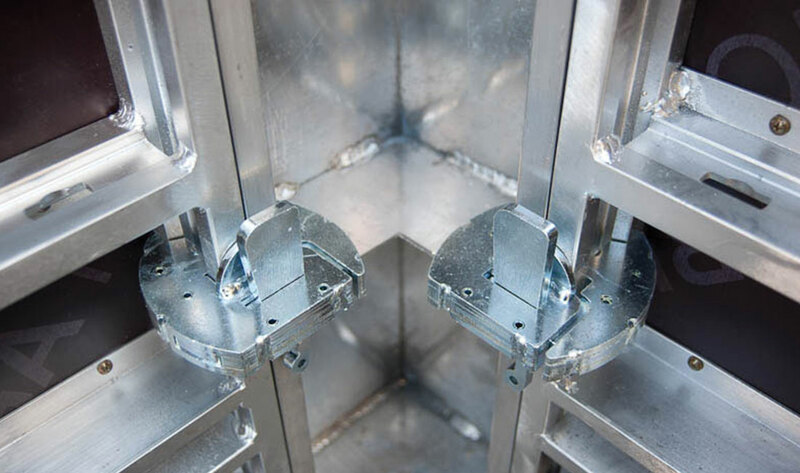 The universal and classic aluminum framed formworks that we produce are ideal for forming foundations, beams, concrete curtains and columns. 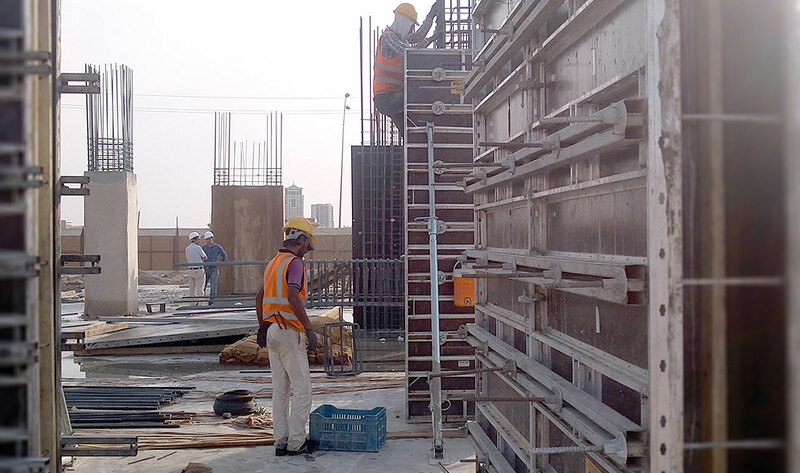 The implementation of the formworks are done by our experts at the construction site and your crew is directed by our experts in order to get the utmost efficiency from our systems and minimize the application process. The application phase is covered by our company with specialist staff experienced in construction. Technical Support and Ease of Application Provided. 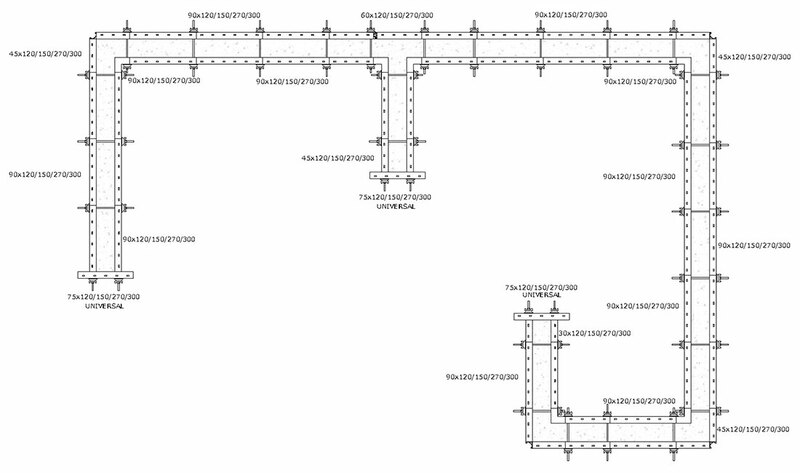 The optimum project solution, formwork circulation durations and stages, contracts, graphics and calculations are prepared by our expert project department. Thanks to its light aluminum form, Universal Panel System which can be easily carried by manpower is ideal for forming foundations, beams, concrete curtains and columns without a Crane.